We had same idea, home for Valentines. We had cheese fondue and wine. It was lovely! 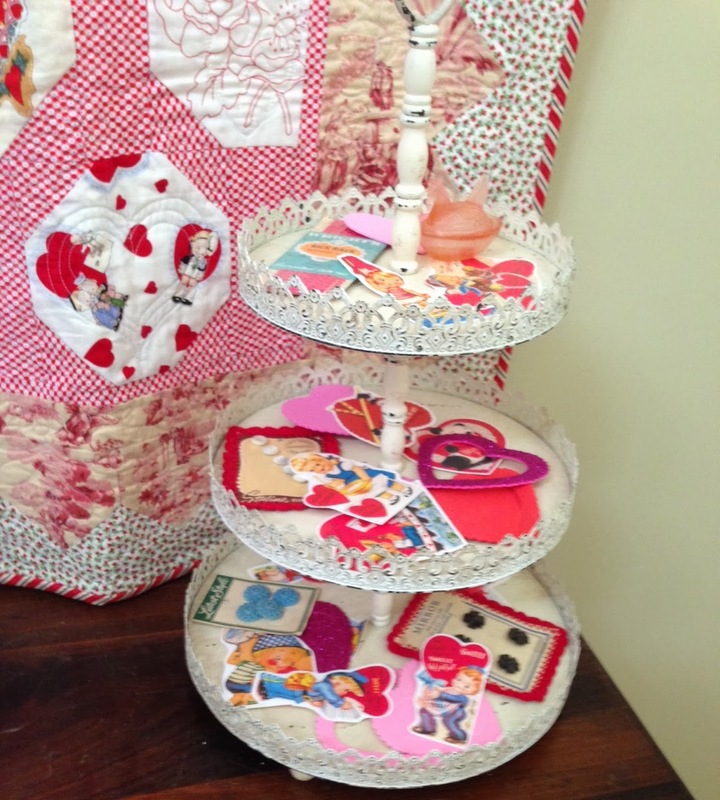 I always love how you set up your table I especially love the quilt in the top picture. Not sure of the name but it looks like Diagonal Rows? Just love it. Glad you have a nice day. 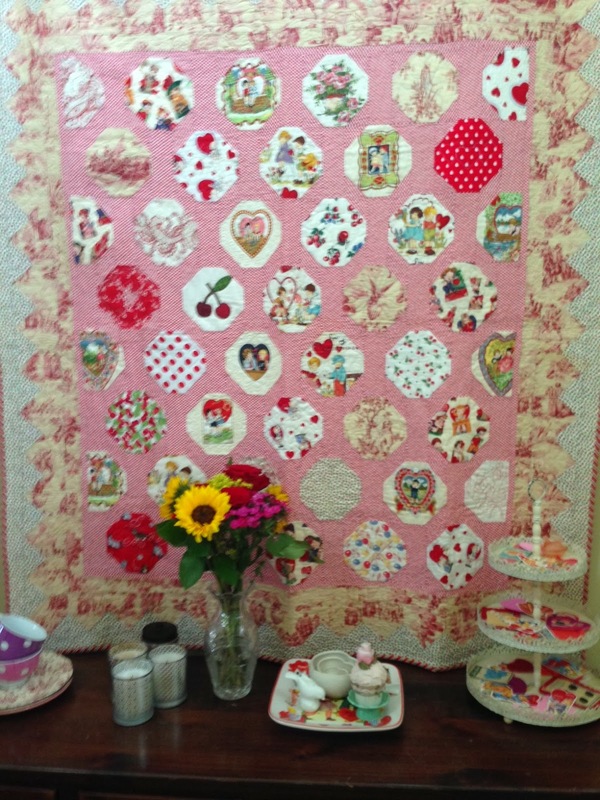 I always enjoy seeing your valentines quilts! Or any of your quilts for that matter. Red is wonderful all the time! 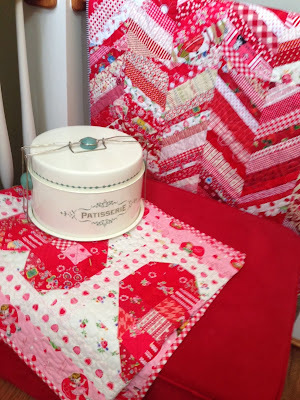 I love your bright cheery quilts. I love red too. I don't have a Valentine's Day quilt, table runner or anything else. I need to get with the program! Loved your blog today! A belated Valentines Day to you, too Nanette :) Love being sent your way! It is a joy to see your seasonal quilts, Nanette! So cheerful and adorable in every way! Glad that you had a lovely Valentine's day! I hope your health is also improving.. Take care! Your quilts are beautiful. Sometimes I wish I would of kept all my Valentine's from class mates. Happy Belated Valentine's Day my sweet.